The Scots Makar Edwin Morgan has died after a long illness. Scotland's national poet Edwin Morgan has died at the age of 90. Born in Glasgow in 1920, he was recognised as one of the greatest poets of the 20th century. His work encompassed a wide variety of forms of poetry, from sonnet to concrete poetry. His death was confirmed by his publisher on Thursday. His publisher said: "It is with great sadness that Sandstone Press echoes the news of Edwin Morgan’s death at his Care Home in Glasgow, the city which he loved and celebrated throughout his long and creative life. We understand from the poet’s close friend and biographer, James McGonigal, that Edwin Morgan’s health had recently taken a downturn. "Our thoughts are with James and his own family, and with Edwin Morgan’s many colleagues and close friends in the Arts. More will follow through the national and international news systems and readers’ attention is directed to those media now." Poet Laureate Carol Ann Duffy said: "Everyone who performs or attends at the Edinburgh International Book Festival will be thinking of him with love and gratitude." First Minister Alex Salmond said: "Edwin Morgan was truly a great man, an exceptional poet, an inspiration and a most fitting choice as the Scotland's first National Poet. "Much-loved in Scotland and indeed around the world, his work tackled all manner of global issues and major historical events closer to home. His passion for observing all aspects of Scottish life shone a spotlight on Scotland for the rest of the world. "I vividly recall the poem he wrote for the Opening of the Scottish Parliament, when he wrote 'Don't let your work and hope be other than great'. That epithet must surely apply to Edwin Morgan himself. "Our thoughts are with his family and friends at this sad time, but his legacy of great work will endure and ensure his name lives on." 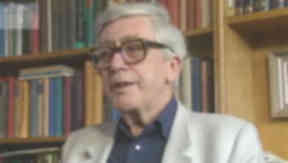 In his career, Edwin Morgan was also recognised as a literary translator, having published work that was originally written in Russian, Hungarian, French and other languages. He studied at the University of Glasgow, but his studies were interrupted by World War Two. He served in a non-combatant role with the Royal Army Medical Corps as a conscientious objector before returning to complete his degree. Morgan went on to work at Glasgow University as a lecturer until he retired in 1980 but his work as a poet continued. In 2004 a poem he wrote for the opening of the Scottish Parliament building was read at the occasion. He was unable to attend the event as he was too ill at the time. Many of his poems were studied in schools across Scotland. His works were published in collections including The Glasgow Sonnets, Instamatic Poems and From Glasgow to Saturn. Well known poems he wrote included Glasgow 5 March 1971 and In the Snackbar, both of which captured scenes in his home city. His poem Strawberries is widely regarded as his best-loved work. His first work - a translation of the poem Beowulf - appeared in 1952 and he continued to have work published in the 21st century. Recently he collaborated with Scottish band Idlewild. In 1982 he was awarded an OBE. In 1999 was announced as Glasgow's first Poet Laureate and in 2004 he was named as the first Scottish national poet, The Scots Makar.